This year's Homecoming was an absolute blast! 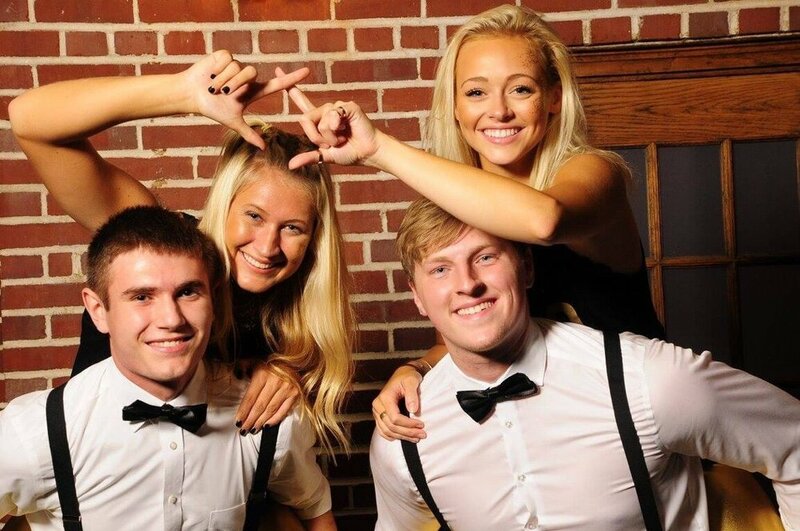 Chi Omega was paired with the fraternities of Zeta Beta Tau and Lambda Chi Alpha and participated in activities like Can-Struction, bags tournaments, Ruckus at the Rec, and of course, Iowa SHOUT. We placed 2nd overall and we could not be more proud! Read all about our events below! Can-Struction was a mad dash to build the best design with canned goods that would be donated at the end of the day. 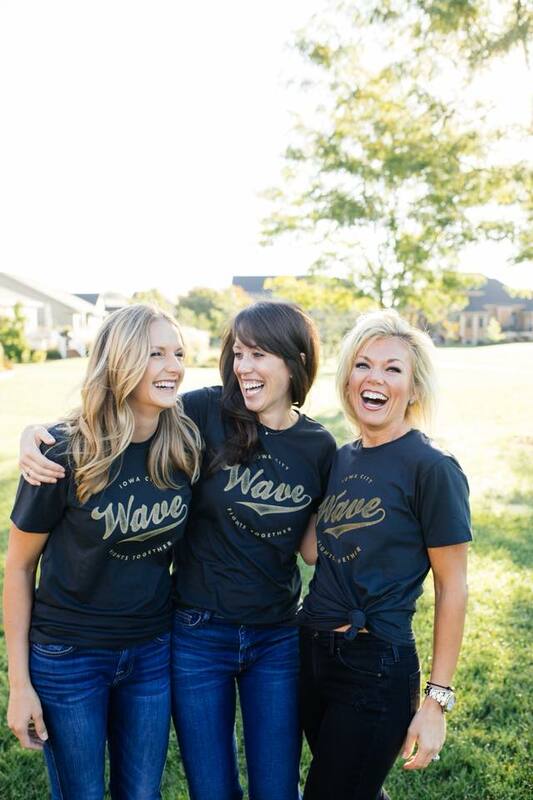 Chi Omega decided to build the children's hospital to honor the kiddos on the 11th floor and to represent the newest Iowa football tradition: The Wave. We also had a blast at Ruckus at the Rec! We participated in Tug of War, obstacle courses, and dodgeball. Those who did not play cheered in the stands and caused a ruckus for their sisters. Ruckus at the Rec is always a fun way to bring out our competitive side and cheer each other on. 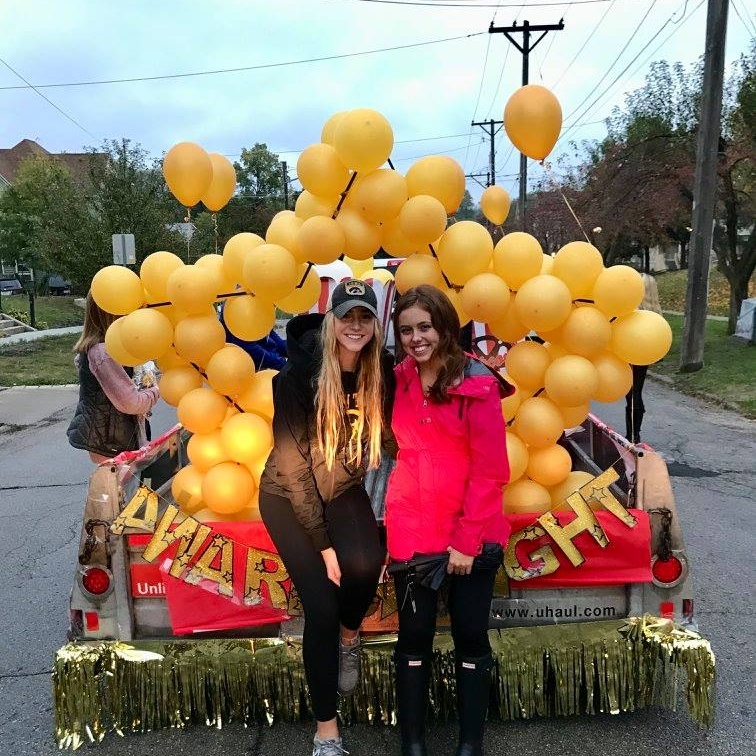 Our Campus Activities Director, Katie Cabel, played an enormous role in Homecoming Week. She spent countless hours preparing the dances for SHOUT, and making sure the week was a blast for everyone. We are so proud of her dedication and love for this chapter. Iowa SHOUT is always the highlight of the week (besides the football game, of course)! Each chapter gets a chance to show off with a girls dance, boys dance, and a partner dance. This year, Chi Omega took FIRST PLACE in SHOUT and had a blast doing it! The dancers worked their butts off for weeks leading up to the performance to make it past try-outs and be able to take the main stage in the IMU! They put in many hours of work each week and the payoff was outstanding! All of the rehearsals and the performance allowed us to bond even more with our pairing-making new friendships all week long! 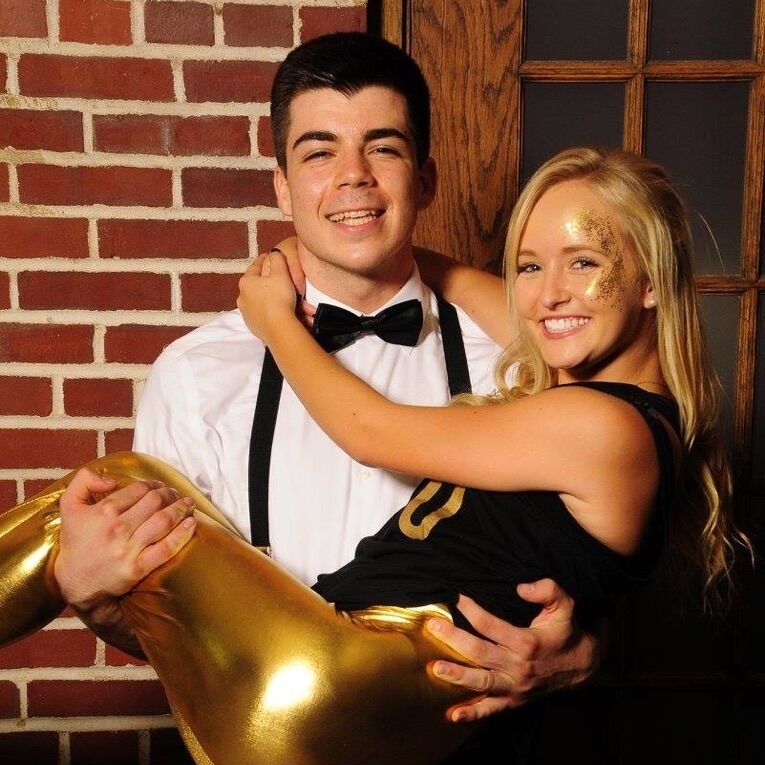 Besides Chi Omega having blast during Homecoming week, our Sister Kimmi Chexnayder won Homecoming Queen this year! We could not be more proud of her and everything she has accomplished! HUGE congrats to Kimmi! As with everyone home game, we also enjoyed seeing our Sisters who perform on the field and pump up the crowd! 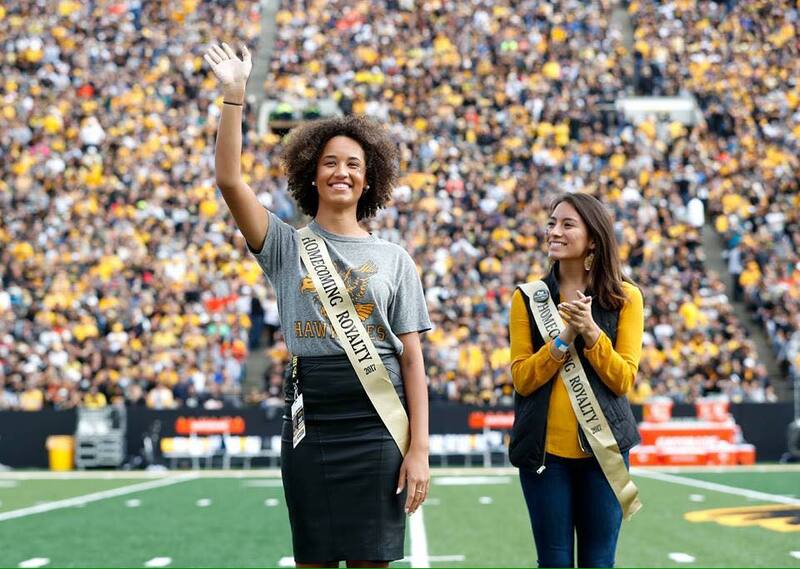 Kylene Spanbauer is Iowa's Golden Girl, Sydney Albertson and Kayla Drow are on the Iowa Dance Team, and Maria Werner Anderson is a member of the Hawkeye Marching Band!